Fukushima Radiation Finally Below "Cancer-Causing Levels"
Residents of Japan may be able to breathe a sigh of relief as the World Health Organisation (WHO) recently announced that radiation levels in most of the country are “below cancer-causing levels.” It has been 14 months since the earthquake and tsunami in Japan caused a nuclear meltdown at the Fukushima Daiichi nuclear plant. 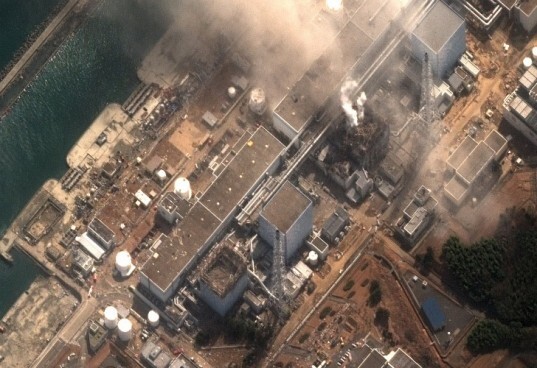 The damage caused massive radiation leaks and forced the evacuation of thousands of people. At the time, the disaster was said to be worse than Chernobyl, but now the WHO report suggests that the contamination is not as bad as originally supposed. As expected, areas near the plant still have relatively high levels of radiation, but radiation levels in surrounding regions are close to normal. The report states that two areas, Namie town and Itate village, which were located near the plant in eastern Japan, were exposed to radiation levels of 10-50 millisieverts (mSv). The rest of Fukushima had radiation levels of 1-10 mSv. Infants in Namie were thought to have received thyroid radiation doses of between 100 and 200 mSv a year. “That would be one area because of the estimated high dose that we would have to keep an eye on,” according to WHO spokesman Gregory Hartl. “Below 100 mSv, the studies have not been conclusive.” Most of Japan has levels of 0.1-1 mSv, while neighbouring countries have less than 0.01 mSv. The report also suggests that radiation levels outside of Japan are “very small” and below those regarded by the international radiological protection community as a concern. To put these radiation levels into perspective, most people are exposed to around 2 mSv of radiation a year from the natural environment. For those working in nuclear plants, the single-year limit for occupational exposure is 50 mSv. The report states that it has used conservative assumptions, and says some of the levels may have been overestimated so as to avoid any underestimation of the potential danger. The BBC also reports that a UN scientific committee has announced that several workers at the plant have been “irradiated after contamination of their skin.” “Six workers have died since the accident but none of the deaths were linked to irradiation,” according to a statement based on interim findings by the United Nations Scientific Committee on the Effects of Radiation (UNSCEAR). Residents of Japan may be able to breathe a sigh of relief as the World Health Organisation (WHO) recently announced that radiation levels in most of the country are "below cancer-causing levels." It has been 14 months since the earthquake and tsunami in Japan caused a nuclear meltdown at the Fukushima Daiichi nuclear plant. The damage caused massive radiation leaks and forced the evacuation of thousands of people. At the time, the disaster was said to be worse than Chernobyl, but now the WHO report suggests that the contamination is not as bad as originally supposed.